Changing your oil every three to five thousand miles is essential to keeping your car in good shape. But, did you know that used motor oil is reusable? Of course, it must go through a refining and reconditioning process, but after that, it can be reused! So, before you throw it out, discover how to recycle your motor oil. When you’re changing your oil, make sure you capture your used oil in a container that has not been contaminated by another product such as antifreeze, paint, or chemicals. (A great container to use is the original motor oil can.) Once the container has been sealed tightly, take it to an authorized facility near you. The repurposing of motor oil isn’t confined to only vehicles. The used oil you collect from your boat, motorcycle, or farming equipment can be refined and reused, too. Also, don’t throw out your oil filter. An oil filter is made from paper, plastic, and steel – three recyclable products! It may be tempting to throw the oil in the trash or dump it down the drain. But, please don’t! 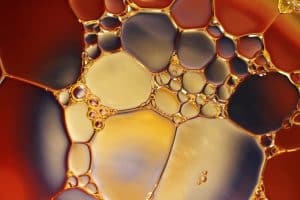 According to the Environmental Protection Agency, “used oil from one oil change has the power to contaminate one million gallons of water.” (One million gallons – yikes!) By choosing to recycle your motor oil instead of throwing it out, you are contributing greatly to the health of the environment. Whether you are looking to sell your car or for a certain car part, U Wrench It can help. Contact us today with your questions!